I dont really know where to post this so this will do. 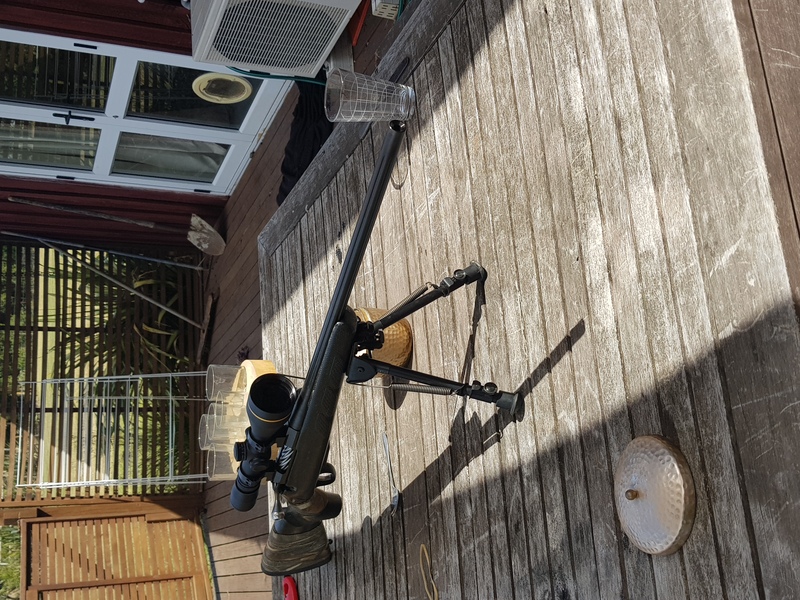 A couple of weeks ago I sent the 284 down to gunworks as the blueing was looking a bit crap, they suggested if I was inclined I flute the barrel at the same time.. bugger it why not. Just wanted to say their customer service was some of the best I've had, they have some arrangement with fastways so shipping prices were excellent at $10 each way and communication was clear and positive. The blueing job is really tidy and it was just a pleasant exchange. Dama dama, KiwiinSeattle, Mooseman and 5 others like this. be intersted to know if there were any changess in accuracy, POI or anything noticeable after the fluting. In the business world their suggestion of fluting is called "up selling" and they have really done a nice job with your rifle. Good choice. systolic, Micky Duck and Cordite like this. If the weather plays ball tomorrow at the range I'll know! what other gunsmith would do that? kiwijames, Hen, Bigash and 3 others like this. If you don't mind me asking what kind of cost are you looking at for the blueing job? Have an old ruger that could do with a spruce up. Funny I was in gunworks today and was told they don't do blueing ? Couldn't even reccomend anyone who does, so I'm guessing the only blueing they do is the Birchwood and casey paste stuff. Nope, they have a machine. There was about a 3 week turn around as apparently it costs them an arm and a leg to run it, so they were waiting on a whole lot of work to come in at once to make it worth while l.
Well I can't understand why they would tell me they don't do it then ? I said it wasn't urgent, have done a reasonable amount of business through them, always paid on time. Seems counter productive to turn away work ? It was Amanda I spoke to, would think she would know ? Surely a re crown would do the trick rather than a whole new barrel. I dealt with Renelle, it may be a service they only offer when fluting or milling? I was forewarned about the admin and time it may take but didn't worry me as I have another bang stick to carry. I know it's not that common an occurance for them to use the machine.